When the college basketball season is over, we usually focus on the prospects going to the big programs and see those move on to the NBA during the summer. We almost always forget that there is a scandal or two that comes out involving a big time program or a big time coach. Former Indiana coach Kelvin Sampson was the last big name to be punished for of all things, texting to much to recruits. USC and their coach Tim Floyd will soon be punished for the O.J. Mayo scandal involving money and gifts. The same seems to be happening now to the Memphis basketball program. 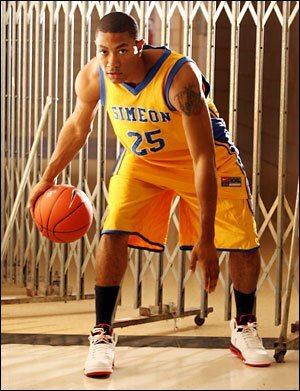 It involves Derrick Rose who is now in Chicago playing for the Bulls. Allegedly in high school one of Rose’s grades was elevated from a D to a C. Obviously it doesn’t concern Memphis, if it happened at his high school, but the other allegation is more troubling. Allowing Rose’s brother to fly on the team charter plane and stay at the team’s hotel free of charge. Now why would it even be a policy to allow anyone to fly on the teams charter. According to Memphis AD R.C. Johnson it is. It is schocking to a degree, but then again not so much. A big time program allowing “Joe Schmoe” or even a players relative (allegedly) to buy a seat on the team charter plane. Former Memphis coach John Calipari should have known who was on that plane and not allowed it if it did in fact happen. According to the NCAA Calipari is not in any trouble, yet. They want him to attend a hearing scheduled for next week on the allegations for the Memphis basketball program. He has some history hear. He lead UMass to a NCAA title game over a decade ago and later left for the NBA before the NCAA took away the appearance because UMass player Marcus Camby was being paid by agents. Now that he bolted for Kentucky, the Memphis program is getting some heat. Kentucky got what they paid for and knew of the allegations at Memphis when hiring John Calipari. The Wildcats better hope they don’t follow into their program. Speaking of Kentucky. They have now counter sued their former coach Billy Gillispie after he sued them for six million dollars of money they owe him. Now let me get this straight. Gillispie never signed a formal contract that would guarantee him money in case of a firing which was going to happpen. Lets face it, Kentucky did not like him from the start and they knew it when he wouldn’t sign a contract. It shouldn’t be as simple as that, but it is. 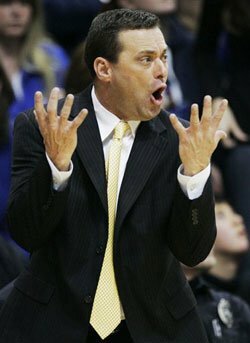 Billy Gillispie is a good coach, but not a great coach. I don’t fault him for taking the Kentucky job even though it wasn’t the best job for him, but come on Billy. Sign next to the X so that your assured of something in case the school decides to can you. Kentucky claims the memorandum he did sign was on a year to year basis because of his unwillingness to sign a long term contract. Gillispie says otherwise and wants the rest of the money guaranteed in the memorandum. Fine. Settle out of court and go your separate ways. Hope you learned a lesson about contract negotiations there Billy. I was foolish to think the Carolina Hurricanes were going to push the Penguins to six or seven games. I was even more foolish to think the young Chicago Blackhawks were going to beat the defending champion Red Wings in seven. Alas, we have a rematch in the Finals. The first since 83-84 when the Islanders and Oilers met in the Finals for the second straight year. Thanks to the NHL’s stupid TV contract they play on back to back days this weekend. Detroit is a little banged up, but they should be ready to go this weekend. Pittsburgh is motivated and hungry for revenge. Crosby and Malkin are playing great and their goalie Fleury has been spectacular. The Red Wings have the same group from last year with Marian Hossa changing sides. I don’t expect a one sided affair from Detroit this time around. The Penguins should have that going for them this year. Sid the Kid, the NHL’s golden boy and savior will hoist his first of what could be many Cups this year. Pittsburgh in six.